Kerusomen Pastor Program in India is Growing...Fast. above and beyond anything we could imagine. For example, in 2015 in the state of Punjab, India, two new churches were planted. (see pictures below) Today, there are 5 churches in Punjab and in June, 2019 five more pastors will be trained and their churches launched. Over a 500% increase in just four years in that state alone. We believe that coming alongside native Christian ministries, by developing trusting partnerships based on accountability, is the most effective way to further God's kingdom in areas of the world where Christians are in the extreme minority. India is one such region where Christians make up just 2.3% of the population. Kerusomen USA partners with Kerusomen India, founded by Sahayadas Simon and his wife Anju. Pastor "Saha" is uniquely positioned by God to advance God's kingdom in one of the least reached regions of the world. Both he and Anju are committed to a holistic approach which means reaching out to the "whole" person. They find that reaching people with the Gospel message is most effective when physical (basic necessities including medical care) and educational needs are met first. Saha and Anju (along with their pastor partners all over India) are able to build relationships with "orphan" widows (widows with no family) as they supply them with monthly support for food and medicine; children are reached by providing them with free English lessons (reading the Bible) because all parents in India want their children to learn English. Meeting these needs with the love of Christ often opens the door to sharing the Gospel. Today, Kerusomen USA suppports 24 pastors in 6 different states of India providing 40% of their living and travel expenses each and every month. In addition, Kerusomen has raised funds for special projects and emergency needs. Most recently it purchased a brand new vehicle for the ministry that provides transportation to spread the Gospel throughout the country of India, transport teachers for pastor training, deliver food and medicine to widows in need, and more. By lightening their financial burdens, Kerusomen enables these pastors to focus on growing their ministries through the training, leadership development, planning and the ongoing counsel that Kerusomen India provides to help them become successful, transforming their communities (and nation) for Christ. Kerusomen Visits Punjab workers and villages. 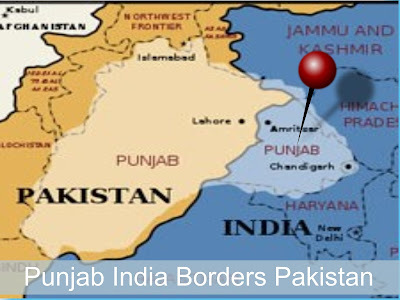 The map below outlines the trip from Trivundrum, Kerala, home of Kerusomen Foundation India to Punjab which is located on the Pakistan border. By air the travel distance is 1397 miles. Christians form 1.1% of the population in Punjab. Here Evangelist Samuel Bhatti and his wife Rebecca Samuel are pictured with their Sunday school children at Junga village. At the time this was taken, Samuel had been working with Kerusomen Gospel Ministries for one year and is on the verge of planting two churches in two villages respectively Junga and Sodhiwala villages. You can see they are holding a banner that displays their work with us in these villages. Evangelist Sajan with his new Sunday school children who recently accepted Jesus Christ. Sajan is newly appointed by Kerusomen Bible Church to be the new coordinator to supervise the works in Punjab regions. Ultimately he will support 5-6 pastors in the state of Punjab. Here he is working in Mandot and Rauke villages. Please support both of these pastors in your prayers. Currently there are 36 Kerusomen trained pastors, witnessing and ministering in their villages, in 6 states of India. Another 5 pastors will be trained and their churches are due to be launched in June, 2019. Kerusomen USA provides monthly support to 24 of those pastors and their ministries. $50 a month supports a pastor in his efforts to fulfill the Great Commission. There are 17 more pastors, right now, in need of help. If you've read this far, you have a heart for the lost. Please pray for these pastors. They depend upon your prayers more than any other gift you can give. Type "India Pastors" on your paypal donation, if God leads you to support this effort.